I spent the afternoon this Saturday with an energetic group of high school students, land ethics leaders and all around stewards of the environment picking up trash in and around August Derleth Park in Sauk City. Saturday was a beautiful blue sky day. 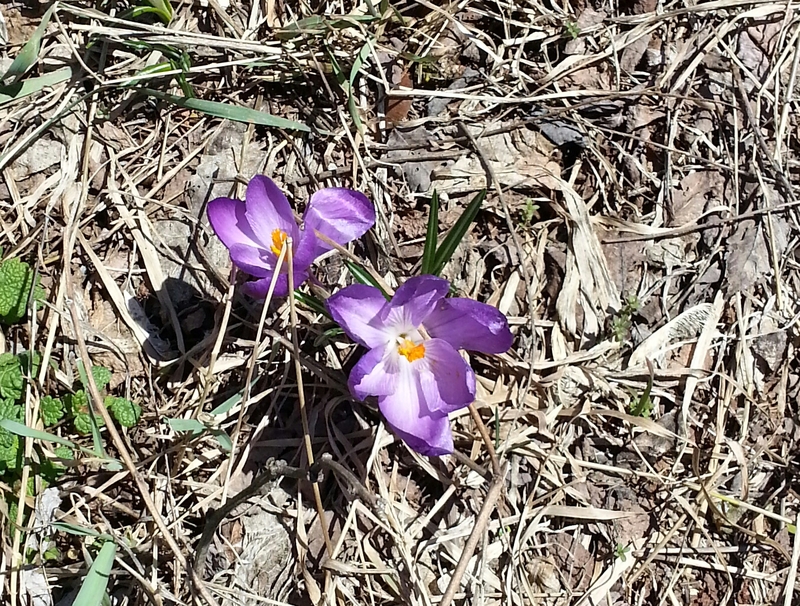 There were signs all around us that spring really had sprung. Sauk Prairie River PAL sponsored the work day in connection with Sauk County’s Earth Day celebration this weekend. This small but dedicated non-profit has been doing good work along the riverbank in my community for almost two decades. I’ve been connected to the group since 2000. In past years the cleanup was focused on the picking up debris along the river bank after the spring thaw. The water is too high this year so we concentrated on the park and along the main road that runs parallel to the river and connects Sauk City with Prairie du Sac (aptly named Water Street). Our biggest find of the day? We found what we think was what was left of the Ace Sauk Prairie air conditioning unit that blew off of the store’s roof during a storm last spring. Jeremiah is a sophomore from Baraboo and a football player. He alone extracted this twisted piece of metal from the trees. I was there for moral support only. After about three hours we had filled at least 30 large industrial strength garbage bags with everything from ancient tin containers to an insulated lunch bag with the lunch still in it!